Warranty expense rates have been on a downward trend for most of the past decade. And most of the manufacturers are reducing their claims and accrual rates year after year. Some, however, continue to cut costs faster than their peers. 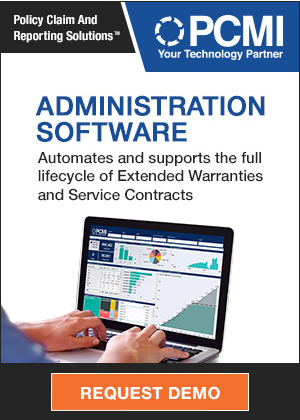 Among all the warranty providers, most are reducing the percentage of their revenue that's consumed by warranty expenses. But which are reducing their claims and accrual rates the most? And which are doing it over the long term? In the October 11 newsletter we looked at the top 10 improvements in claims and accrual rates from June 2011 to June 2012. But one reader said this was too short a time horizon to pick any leaders. So this week, we're broadening the comparison to compare today's warranty expense rates with those we saw three years ago, six years ago, and nine years ago. The good news is that American manufacturers have not only been reducing their warranty expenses and reporting the figures in their financial reports, but also that they've been reducing those expenses as a percentage of sales from one year to the next. That's a big distinction, because during a deep recession warranty expenses will fall on their own, because there's less business activity all around. The question is whether or not they snap back to where they were once that recession ends. So far, that hasn't happened. Warranty expenses are once again on the rise in 2012, but they're not back to 2007-2008 levels, although in many cases sales are. The result is that American manufacturers are paying out the smallest share of sales revenue ever measured -- roughly 1.3% -- to cover warranty costs. And that's a multi-year trend that began long before the recession. In the figure below, we've totaled up all the claims paid and accruals made by all reporting manufacturers, and divided the totals by the amount of product revenue reported by these same companies, during each of the past 38 quarters. Over that nine-and-a-half-year period, it's clear that both the average claims rate and accrual rate for American manufacturers has been trending lower, except for that giant spike in claims seen in 2008-2009. That, of course, was a symptom of the recession, when sales revenue plummeted but warranty claims did not. Manufacturers weren't paying out more, but because less was coming in, the percentages soared, peaking at 1.87% in June 2009. But then, as sales recovered, the downward trend resumed for claims. And that story has continued for the past three years. But it was never interrupted for accruals. Notice that the green line in Figure 1, while it wiggles a bit, has been trending down since 2003. In fact, the average accrual rate hit its lowest level ever a year ago, and is only slightly above that level now. This suggests that for many American manufacturers, the need for warranty accruals has continued to fall as product reliability rose and the cost and frequency of repairs fell. Warranty cost reduction programs are producing results. And as sales recovered, the percentage of revenue consumed by warranty claims payments also fell to unprecedented new lows. We've told that story numerous times. What we'd like to do this week and next is to begin to list some of the companies that made it happen. Claims and accrual rates in mid-2012 are right around the same 1.3% mark they were at in June 2011. So we need to go back further than just a year to measure the enduring trend. For this week's analysis, we started with a list of all 260 U.S.-based companies that paid more than $4 million in claims during 2011. There are many more companies that paid less than $4 million in claims past year, but both their warranty metrics and their sales revenue totals are much more volatile. So we decided to go with just the medium and large warranty providers. Take away the nine large and medium-sized manufacturers that were acquired in the past year, along with those that have not yet released new warranty data so far in 2012 (primarily because they report only once a year, at year's end), and we're left with 225 medium and large warranty providers that we can analyze. We then collected their claims and accrual rates as of June 2003, June 2006, June 2009, and June 2012, so that we could make three-, six-, and nine-year comparisons of the changes in their rates. In other words, there would be a maximum of six measurements per company. Amazingly, out of a possible total of 1,350 comparisons (six times 225), a total of 804 comparisons showed rate decreases. Only 42 comparisons were impossible (because old data was unavailable for new companies, etc.). And that means only 504 comparisons showed rates increasing from a point in the past until June 2012. For those keeping score at home, that means claims or accrual rates fell 60% of the time, and rose 37% of the time, from some point in the past to June 2012. Given the spike in the claims rate seen in Figure 1, it probably comes as no surprise to hear that nearly 72% of the 2009-2012 claims rate comparisons were downward. But in all of the other comparisons, the ratio was close to 60% down. Even compared to a year ago, the trend towards reduced claims and accrual rates was apparent. Among these 225 companies, 58% reduced their claims rate from June 2011 to June 2012, while 54% reduced their accrual rates. The idea is not to compare one company against another. There are too many variations in how warranty is counted to make such comparisons valid. Instead, what we're doing is comparing one company against itself over time, and then comparing those comparisons. And that allows us to make top 10 lists showing the most improved warranty providers. Among this group of 225 companies, they have reduced their warranty expense rates by the greatest proportion over time. We listed the one-year champions in the October 11 newsletters. We'll list the three-year champions this week, and the six- and nine-year champions in the November 1 newsletter. And we can also list the overall warranty cost reduction champions, based on all the available data: one-year, three-year, six-year, and nine-year measurements of changes in the claims rate and changes in the accrual rate. Overall, over the past decade, 32 companies got a perfect score: four claims rate reductions and four accrual rate reductions. Of those, 13 also made at least one of our top 10 lists. They are: Callaway Golf Co.; Cavco Industries Inc.; Dana Holding Corp.; Franklin Electric Co. Inc.; Garmin Ltd.; Harris Corp.; Juniper Networks Inc.; MTS Systems Corp.; Newport Corp.; SanDisk Corp.; Tellabs Inc.; Winnebago Industries Inc.; and Woodward Inc. And they are among the most-improved companies when it comes to warranty cost reduction. Overall, there were a total of 32 companies with perfect scores, meaning that both their claims and accrual rates were lower in June 2012 than in the same month of 2011, 2009, 2006 and 2003. Out of a possible eight rate declines, they got all eight. And there were another 32 companies that scored seven out of eight. Surely they deserve some recognition too? We can't list them all (we're already spreading this analysis over three newsletters). But here's a list of the ten largest warranty cost reduction champions who didn't make a top 10 list: Applied Materials Inc.; Caterpillar Inc.; Cummins Inc.; Deere & Co.; Dell Inc.; General Motors Co.; Hewlett-Packard Co.; Seagate Technology; United Technologies Corp.; and Whirlpool Corp. Together, these companies have saved literally billions of dollars by implementing warranty cost reduction programs. Some of their stories have been told during Warranty Chain Management Conference meetings. Others prefer to keep their success private. So let's make that hard for them to do. Among the 57 companies scoring five or six rate reductions out of a possible eight, here are the ten largest: Ford Motor Co.; Harman International Industries Inc.; IBM Corp.; Netgear Inc.; Nvidia Corp.; Paccar Inc.; Thermo Fisher Scientific Inc.; Thor Industries Inc.; Varian Medical Systems Inc.; and Western Digital Corp. Some are returning to normal after putting an end to recent "warranty excursions." A few made little or no accruals at some point in the past, making it impossible for their rates to go any lower in 2012. But others are mostly but not always successful in their effort to reduce warranty costs. As mentioned, the one-year champions were listed in the October 11 newsletter. Half of those companies also made a more long-term top 10 list. However, as a confirmation of our reader's objection that one year simply wasn't enough time to measure the cost-cutting trend, the other half failed to make another top 10 list. In fact, two of those companies -- Regal-Beloit Corp. and VeriFone Systems Inc. -- actually failed to score even slight rate reductions during any other period. So their cost reduction success is especially short-lived and recent. The three-year comparisons between June 2009 and June 2012 are undoubtedly heavily affected by the recession. Simply put, the first half of 2009 was an aberration, because claims were still being paid on past years' sales even though current sales had slowed considerably. The spike in Figure 1 had little to do with more product failures or more warranty work. It had much more to do with less product sales artificially inflating the percentage rates. Still, let's get these three-year charts out of the way so we can look at the six- and nine-year trends next week. All 16 of the companies on the top 10 lists in Figure 2 and 3 are warranty cost reduction champions. Seven companies had perfect records, meaning that they have managed to reduce both their claims and accrual rates from 2003, 2006, 2009 and 2011 until now. Also, out of a possible eight rate reductions, none scored less than six-out-of-eight. Some of these claims rate reductions are just enormous. For instance, Nvidia, which was in the midst of a warranty excursion three years ago, cut its claims rate from 5.8% then to 0.33% now. A total of 46 companies cut their claims rate by half or more during the past three years, including all of our top 10. It would be easy to pin all these massive claims rate reductions on the recession, but it's not all due to sales. Only three of the top 10 are from the automotive industry, and only one is a homebuilder. As we've found in previous newsletters, these were the industries in which sales decreased the most. Yet five of the top 10 are high-tech and one is aerospace, where revenues fell much less steeply. And then there are all the massive cost reductions that didn't make the list. Mohawk Industries Inc. cut its claims rate from 6.2% in 2009 to 2.0% in 2012, but didn't make the top 10. Brooks Automation Inc. cut its claims rate from 8.1% three years ago to 2.7% now, but didn't make the list. Caterpillar cut its claims rate from 3.6% to 1.4% Cummins Inc. cut its claims rate from 5.0% to 2.2%. And neither made the list above. Of the 10 companies listed in Figure 2, four repeated on the accrual list in Figure 3. That means these four companies cut their warranty expenses by the greatest proportion from 2009 until 2012. And that means either they were having a very bad 2009 or a very good 2012, or a combination of both. But as we've suggested, warranty cost-cutting is a widespread trend. Of our 225 large and medium-sized companies under consideration, 161 reduced their claims rates from 2009 to 2012 and 135 reduced their accrual rate. An incredible 118 reduced both rates over the past three years. What makes this incredible is that accrual rates aren't usually affected by changes in sales volumes. The amount accrued is supposed to be a fixed number per unit sold, based on the predicted frequency and cost of repairs under warranty. But no sales means no accruals. The ratio between accruals and sales should remain the same, unless there's been a change in reliability or repair cost. So while Figure 2 was heavily impacted by the depths of the recession in 2009, Figure 3 should be measuring changes in reliability or repair cost. There might be other reasons that companies cut their accrual rates so drastically, but sales isn't one of them. The four companies that repeated are LSI Corp.; MTS Systems; Newport Corp.; and SanDisk Corp. None are automotive or homebuilding companies, so there must be some other reason why they are among the most successful warranty cost-cutters of the past four years. Also, none are coming down from unusually high expense rates in 2009, as are Cavco Industries, Nvidia, and Garmin. So their success can't be dismissed as merely a return to normal after a period of low sales or high costs. Lear is on the top 10 accrual reduction list simply because it has made only $200,000 in accruals so far this year on more than $7.3 billion in product sales. That's an accrual rate of only 0.003%. But that's also an artificially low amount -- and one which is not sustainable. Pretty soon, it will be back into the millions. During the same period in 2009, Lear made $7.2 million in accruals on $4.5 billion in sales. So its accrual rate has plummeted from 0.16% to 0.003% -- an incredible 98% reduction. But that has more to do with the abnormally low accruals in 2012 than any real improvement in product reliability. And although it makes all the comparisons look good, it's unlikely to be repeated. Meanwhile, Garmin had a really bad 2009, with its claims rate soaring to 9.7% at one point early in the year and its accrual rate remaining high the entire year. Now it's getting back to normal, with its accrual rate below two percent for the first time in six years. So the comparison between 2009 and 2012 looks very favorable. All 10 of the companies in Figure 3 reduced their accrual rates by more than half over the past three years, as did 14 others who didn't make the top 10 list. Some of the largest among those nearly great companies are Seagate Technology; Terex Corp.; TRW Automotive Holdings Corp.; and Polaris Industries Inc.
Seagate recently reduced the duration of some of its warranties, so accruals were reduced accordingly. But the other three are automotive and heavy equipment companies whose warranty terms and conditions haven't changed all that much, so the reasons behind their accrual rate reductions are less obvious. Because of the four repeats, there are only 16 different companies in Figures 2 and 3. But of those 16, an amazing seven were also in a one-year top 10 list in the October 11 newsletter. And eight of these 16 will be on one of the top 10 lists in next week's newsletter. In other words, while some of the companies with the biggest one-year rate changes are simply lucky to be there (or were unlucky a year ago), many others are consistent cost-cutters that have been reducing their warranty expenses year after year. They're on the list for 2009-2012 and 2011-2012. And they'll be on the list again for 2003-2012 and 2006-2012. That's the only way the overall averages, as seen in Figure 1, can continue to fall year after year. Next week: The six-year and nine-year comparisons. Alberta proposal makes builders provide warranties for new homes. New legislation to give new home buyers in Alberta more warranty protection. Verizon uses warranty-voiding photo to sell Total Equipment Coverage Plan. North Little Rock mayor says sewer line solicitation letter not from him. Sky employee leaked customer data to a competing warranty company. Businesses should explain warranties better, says legal expert. Satcon gets bankruptcy court approval to continue paying warranty claims. Richard Edward Mace joins ServicePower board of directors. Former Circuit City CEO Alan Wurtzel writes tell-all book. Hyundai covers Equus & Rohens models with 5-year warranty in China. Dunster House reduces RV warranty coverage and pulls out of UK trade show. Beware of engine additive warranty scam. List of companies selling extended warranties for vehicles in Canada. Microsoft offers only 1-year Surface warranty despite EU law. Why things fail: From tires to helicopter blades, everything breaks eventually. Sewer line protection program now available in Casper WY. Global Warranty Group offers free roadside assistance dispatch to wireless customers. Rooting and flashing a mobile device does not void its EU warranty. Microsoft Surface tablet's one year UK warranty flouts EU laws. How to turn warranty expirations into increased service revenue. World Diamond Congress rejects Diamond Source Warranty Protocol. Microsoft offers 2-year Surface RT tablet warranty in Australia. Australian Competition and Consumer Commission opens HP warranty probe. Diamond Source Warranty Protocol called too costly & impractical. Jewelry associations develop the Diamond Source Warranty Protocol. Customer thought he bought a 3-year laptop extended warranty, but it was only 2-year. Apple expands iMac 1TB Seagate Hard Drive Replacement Program. Isuzu Commercial Truck of America enhances diesel truck warranty coverage. S&A Cherokee expands CarMark extended warranty program to 27 dealers in 13 states. Eaton lengthens Flex Reman transmission warranties from 2 to 3 years. Two Italian consumer groups allege Apple still violates EU warranty regulations. Service Line Warranties of America offers program in Harwinton CT.
Telemarketers once again selling extended warranties over the phone. Apex Pest Control loses termite warranty lawsuit, despite exclusions. Tesla Model S requires $600/year service contract or its warranty is voided. Town of Penn debates high cost of extended warranty for emergency radios. County should require warranties for new public buildings, commissioner says. Alberta government to introduce new home warranty legislation. KB Home promises to repair home for nine years, then "forgets" to finish. First American home warranty repair takes months. Cincinnati couple buys home warranty but gets four consecutive claims denied. Global Warranty Group launches FreeBuyBack marketing program. Warranty company pays City of Phoenix to use its logo on offer letters. LG Electronics lengthens commercial A/C warranties to 5 & 7 years. RAC Warranty sees 20% rise in sales among UK independent used car dealers. Kioti Tractor offers extra year's warranty on purchases through Dec. 31. PTC completes acquisition of Servigistics Inc.
American Auto Guardian announces 2012 Agent Sales Contest winners. EU asks countries to check if Apple retailers mention 2-year warranties. US Fidelis co-founder Cory Atkinson sentenced to 4 years in state prison. Most Improved Warranty Metrics, Part 1: While many companies manage to reduce the percentage of revenue they spend on warranty, some do it better than others. Rising sales helps. So does building a better product. And then some companies are merely returning to normal after ending a "warranty excursion."